Medieval streets, mysterious alleys, beautiful countryside, stunning panoramas, excellent gastronomy and noteworthy artisan shops. This, in few words, is Cortona. One of the oldest towns in Tuscany, named Curtun by the Etruscan founders, Corito when it became a Roman colony. 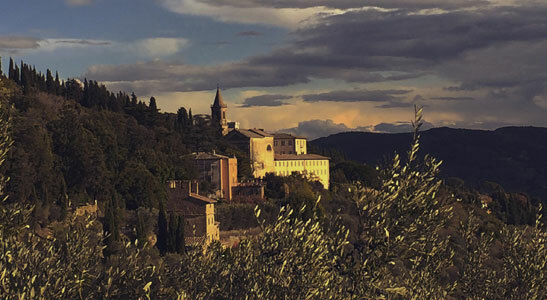 The town sits high up in a magnificent hill watching over Tuscany and Umbria. Streets are steep and narrow and getting around the city implies climbing up and down stone alleys and staircases and you'll please your eyes with what you will meet. Enrich your experience while in the area! on your first or second day choose to meet for a Tuscan breakfast and a nice walk one with one of our tour leader. Tips on what to visit, ideas for activities and things to do during your stay, trip ideas to visit towns and areas in the sourrondings. Maximise your experience and discover a land filled with history and charme. 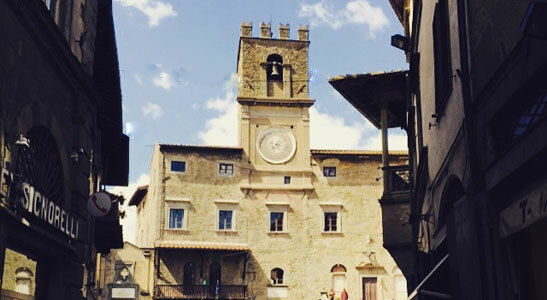 Home to Frances Mayes, author of Under the Tuscan Sun, our walking tour explores the streets and sites of Cortona including Roman and Etruscan ruins, medieval churches and dwellings, and Bramasole where Francis and Ed still reside throughout the year. We end our tour with a refreshing glass of prosecco at the DelBrenna Jewellery Showroom & Studio where you are free to browse their handmade jewelry, shoes and home collection. ​ Tour includes a customized DelBrenna gift bag.